The official launch of the iPhone 7 and iPhone 7 Plus is still three days away on September 16, but the first reviews of the new smartphones have started showing up online this morning. Some of the sites have been quietly testing out the new handsets for around a week, and general impressions have been positive, despite the lack of a radical design overhaul compared to last year's iPhone 6s and 6s Plus. 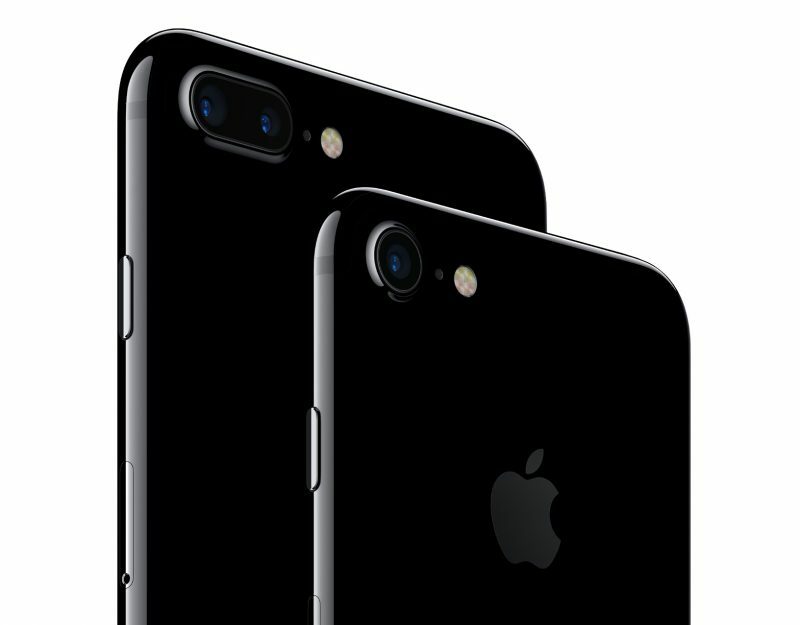 The Verge offered perhaps the most balanced perspective on the iPhone 7 series, which it called "terrific phones" but also "incomplete", given that the wider color gamut, and the real potential of the Taptic Engine and the iPhone 7 Plus's dual-lens camera – which rely on software updates – won't be realized at launch. The Verge said non-adopters "won't actually be missing out on much" if they don't get an iPhone 7, which it described as a "transitional step to a vision of the future" and a "foundation" for how the next generation of iPhones will integrate into our lives. Meanwhile, Mashable offered a more enthusiastic line of thinking for early adopters, calling both devices "worthwhile upgrades" that "inch us ever-closer to the completely sealed, moving-parts-free ideal of a smartphone slab". The review notes that both phones are "fast" and the stereo speakers "really shine" when it comes to gaming, while battery life was impressive, with the larger handset closing in on two days with moderate use. It also put the phones through some underwater ordeals, the result of which was "pretty awesome" and offered peace of mind for those prone to dropping their phones in the toilet, but it didn't recommend going for a swim with the devices. I had a good time placing the iPhone 7 and 7 Plus under running water and dropping them into water-filled containers and sinks. Not only did they hold up, but both phones continued to function in the drink. Each time I tried this, the iPhone 7 and 7 Plus were unharmed. I fished them out of the water and dried them with a cloth and then continue using them. One thing you cannot do right after submerging your phone, though, is charge it. Apple recommends letting the Lightning port dry out for five hours before attempting to charge either device again. TechCrunch got hold of a glossy black iPhone 7 and remarked that it definitely showed scratches and abrasions after a weeks' use. It also mentioned that the home button's Taptic Engine feedback makes it feel as if the whole bottom half of the phone is clicking, yet it called the implementation a "flawless transition" from the physical home button that prepares users for when the button disappears entirely. It said Apple's new flagship devices are "fast, capable, and functional" and "probably the best portable cameras ever made". This is quite simply the most sophisticated camera and image processor pairing ever seen in a smartphone or any camera period. There have been a couple of other applications of dual camera setups in phones, but the execution is crude by comparison. The optical zoom works great, and the 56mm lens naturally adds that nice compression of facial features and slight blurring of background that a standard lens gives, especially up close. It won't be long before Apple customers begin to receive the iPhone 7 and 7 Plus handsets themselves, as the September 16 launch date approaches. Images have emerged online of iPhone 7 shipment batches ready to leave factories in Zhengzhou, China, while some customers have already received shipping confirmation. Other reviews: Business Insider, BuzzFeed, The Wall Street Journal, Daring Fireball, Wired, Ars Technica, The Loop, CNET. Why do people always say they're not "essential upgrades"? Do they think everyone upgrades yearly? This is a fantastic upgrade for anyone NOT on a 6S. I hate to be "that guy" but Steve Jobs would've never released a phone with software that was "incomplete"
You joined MR in 2006. You should really know better than that. The early iterations of iPhone OS were terribly buggy. Plus you mention "incomplete" software, yet the first iPhone didn't even have an App Store. Or video recording. Or even copy/paste, for crumb's sake. I hate to be "that guy" but Steve Jobs would've never released a phone with software that was "incomplete". He shipped the original iPhone. It was missing lots of stuff. If the people using phrases like 'if Steve Jobs were alive......', 'this would never happen under Steve Jobs...', realised how juvenile they sound, they would stop. Steve Jobs is dead - accept it. He's never coming back. No one EVER will be like Steve Jobs. What he WOULD have done is totally irrelevant at this point. Please move on to something actually pertinent to discussions here. When discussing whether they recommend upgrading the phone why do reviewers always compare it to the most recent iteration when most people are looking to upgrade two (or more) generations back? The 7 is a huge upgrade from the 6 or 5s. And in my opinion it's still a substantial upgrade from the 6s. Well, it looks great. Just a shame it'll immediately scratch if it's within the same zip code as some house keys. Best thing about it, made the 64GB iPhone SE cheaper. No 3.5mm phone socket - No buy. The grand old dame, Ars Technica, has hers up too. They are detached from reality, they must get so many of the latest and greatest new gadgets sent for them to sample that phones from 2 generations ago have long been forgotten.